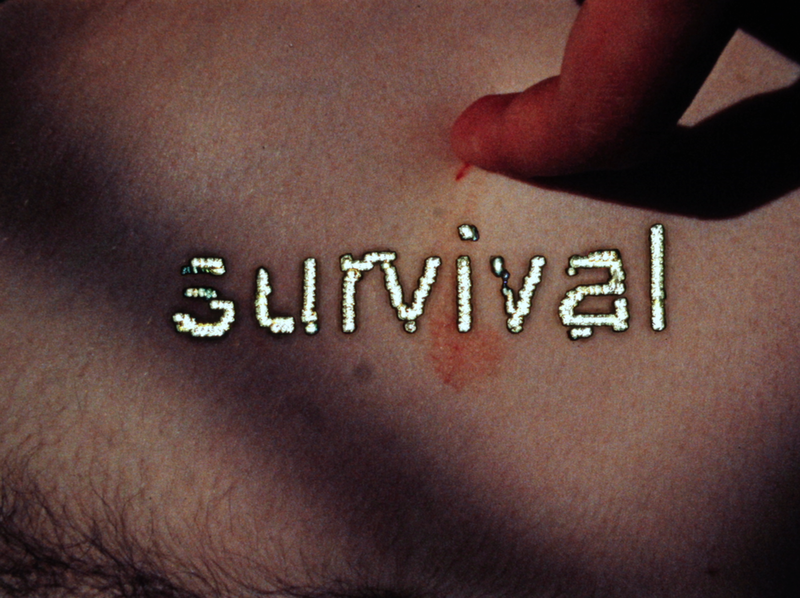 An evening of visceral and provocative handmade films that explore bodies, acts of the solitary, text, language, visual information and personal exposure. Nazlı Dinçel’s hand-made work reflects on experiences of disruption. She records the body in context with arousal, immigration, dislocation and desire with the film object: its texture, color and the tractable emulsion of the 16mm material. Her use of text as image, language and sound imitates the failure of memory and her own displacement within a western society. A transcription of what I have been told during intimate experiences while separating from my husband. Sections consist of destroyed originals from Leafless (2011) and motifs of the "feminine". These decorative objects are re-valued through a controlled act of cutting, with an allusion to synchronization. Direct sound of cuts and hand processing are composed of 26 frame shots. Un-synced, it reveals a hearing of past images, as an act of translation. Failures is an experimental feature (2016-Ongoing) consisting of 38-40 single camera roll films each dealing with a human failure.This is a re-destroyed film that I was unable to finish in 2013. Filmed both in ruins: at the Sutro Baths in San Francisco and in final domestic spaces occupied with a former partner. Film was destroyed in ocean water. Born in Ankara, Turkey, Dinçel immigrated to the United Sates at age 17. Dinçel resides in Milwaukee, WI where she is currently building an artist run film laboratory. She obtained her MFA in filmmaking from UW-Milwaukee. Her works have been exhibited in numerous venues around the world including Tiger Shorts competition at IFFR, NYFF, BAFICI, EIFF and HKIFF.